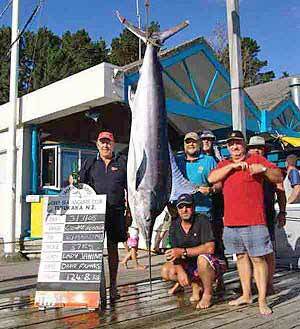 New Zealand has a world famous big game fishery in the upper North Island. 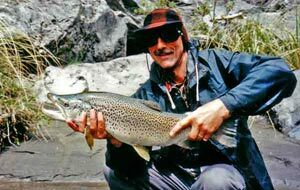 New Zealand Fishing is world-class, be it trout fly fishing, big game-fishing for bill-fish and tunas, our excellent sea-fishing, and South Island salmon angling. New Zealand – A land of water! A land of water! Where ever you are in New Zealand you are never more than 130 km from the sea. The long winding coastline measures around 18,000 km. Much of it indented with small bays, deep fiords, tiny inlets, rivers, estuaries and waterways. Though often talked about in connection with Australia, New Zealand lies about 1,600 km east of Australia across the Tasman Sea. New Zealand comprises two main Islands: North Island (113,729 sq km) and the larger, though more sparsely populated South Island ( 150,437 sq km ). There are also over 700 offshore Islands. Though most are small and lie near the coast though there are some notable exceptions. Stewart Island across Foveaux Strait to the south of the South Island covers 1,680 sq km. The populated Chatham Islands are 800 km east of Christchurch. There are also several uninhabited small Island groups: the Kermadec Islands which lie about 1,000 km north-east of Auckland; the Bounty, Snares, Antipodes, Auckland and Campbell Islands which lie far to the south of the South Island, and are rarely visited. New Zealand has many hundreds of lakes ranging in size from small ponds to those covering tens of square miles. Almost all have extensive populations of rainbow and brown trout. Lakes Coleridge and Sumner in the Canterbury high country also have large landlocked Quinnat salmon populations as well as brown and rainbow trout. 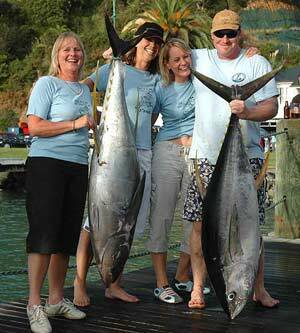 Woman’s team members with yellowfin tuna caught aboard Pacific Monarch, Bay of Islands. Big game fishing in New Zealand is almost exclusively a North Islanders sport. Blue and stripped marlin, yellowfin tuna, yelllowtail kingfish, and broadbill swordfish are caught mostly off the east coast of the North Island – in the main north of Auckland. The prime time being during the later part of summer from January to late April. There are numerous charter vessels that target these big game species. Fishing trips on these boats can readily be organized but some of the more successful boats and skippers are booked well in advance. It is fair comment that of the many skippers targeting bill-fish a small number of vessels seem to account for the majority of the fish tagged or landed each season! The North and South Islands are very different from an angling perspective. There are far more sea charter vessels operating around the North island. There are several reason why this is so. Firstly 75% of the population lives in the North Island. Secondly, the sea fish species around the North Island, where the sea is warmer, are different and more varied than around the South Island. The top table species targeted in the North Island are snapper where as in the South Island it would be blue cod. The premier sports fish in the South Island is the Chinook salmon caught mostly in the rivers of Canterbury and Otago. Also around the North Island you can catch sub-tropical species such as pink and blue maomao, and many other species that would be unknown in the cooler waters around the South Island. 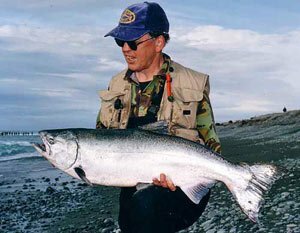 Chinook salmon run the big South Island East Coast rivers from December to March. Salmon were successfully introduced into New Zealand from North America in 1906. Quinnat salmon are another major point of difference between the two Islands, with this introduced species only being caught in the South Island. There are well established, though annually variable, runs of salmon averaging 20 pounds (9.1kg), up the South Islands main east coast rivers each summer. These runs begin in November and peak in February. They end around April-May. For the best fishing tackle and advice see the guys at The Complete Angler in their huge new Christchurch store. Fishingmag.co.nz Salmon fishing in New Zealand’s South Island. Where, how, and when to catch salmon. Brown and rainbow trout were also introduced into New Zealand approximately 100 years ago and are well establish and abundant throughout the lakes and rivers of both the North and South Islands. North Island lakes Taupo and Rotorua, together with many other smaller waters, are well stocked with big rainbows. Double figure fish being common. The South Island has perhaps more brown than rainbow trout, but this varies between waters. Fishingmag main Trout Fishing page. A magnificent headwaters brown trout from Canterbury. Brown and rainbow trout inhabit nearly every lake, river and stream throughout New Zealand. A fishing licence is required to fish for these acclimatized species (sports fish). The same licence allows you to fish for salmon. The Adult Whole Season Licence costs less than NZ$100 and enables the angler to fish anywhere in New Zealand (except Taupo) for 12 months. Fish and Game New Zealand fishing licence information. The Lake Taupo fishery has long been maintained by New Zealand’s Department of Conservation (D.O.C.) whereas all other waters fall under the jurisdiction of of Fish and Game New Zealand. Some waters are closed for part of the year, while others have restrictions on certain tackle, i.e. fly only. There are also some waters which are catch and release only. It is important to read your licence carefully before heading off with your rod because you don’t want to get caught fishing in a closed water. You can obtain a Taupo Region fishing licence and a copy of the Taupo district fishing regulations from the Department of Conservation. Most waters have a two fish bag limit, but again this varies. If in doubt (it can be confusing for the visitor) contact Fish & Game or a local tackle store. If fishing without a guide the later should be visited where possible both for directions to the best fishing spots, and also the best fly to catch one of the local trout! Lake Taupo and it’s surrounding waterways are an enormously productive trout fishery – particularly for it’s very big rainbows. As a freshwater fishery Taupo, near the central North Island, has many excellent fishing guides and boats operating aimed at the visiting angler from novice to expert. See: Lake Taupo Trout Fishing. There is very good surfcasting around the New Zealand coastline. You will almost certainly catch a fish off any beach. here is our main Surfcasting page. Everyone who does recreational sea fishing around New Zealand has a legal requirement to follow the recreational sea fishing rules. The rules change regularly – so check the rules for your fishing area every time you head out fishing. Everything you need to know is here at the MPI – Ministry for Primary Industries website. Their is a wide variety of accommodation available throughout New Zealand with every budget catered for. Depending on time restraints a camper-van is a great option for the traveling trout, salmon or surf angler wanting to sample as much scenery and fishing as possible in a limited time. To fish all the lakes and rivers of New Zealand, and the sea around it would take a lifetime! We hope this site will give you a better picture of New Zealand fishing. New Zealand Tourism Guide provides 1000’s of New Zealand tourism, travel and holiday options including NZ accommodation, attractions, tours and transport. 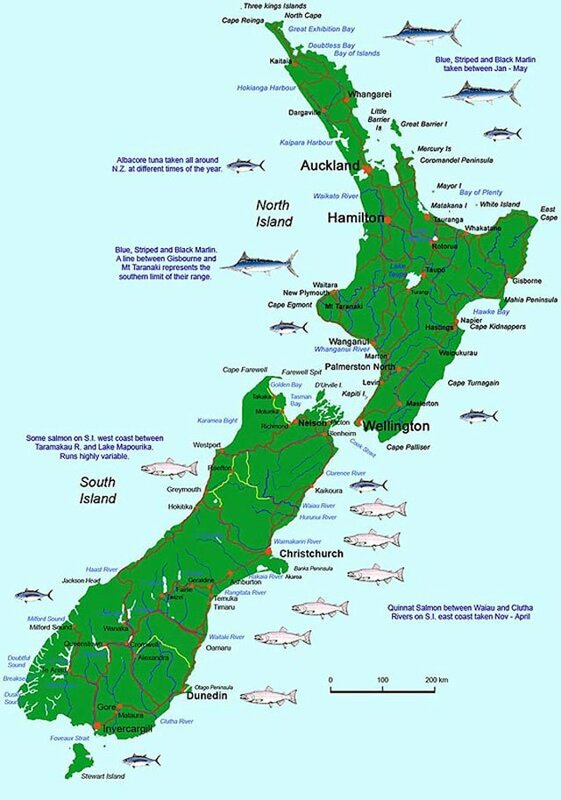 Map of New Zealand fishing showing the general locations where sports fish can be caught. Brown and rainbow trout are caught in both the North and South Islands. The central North Island trout fishery centered around Taupo and Rotorua is very substantial. Salmon only in the South Island and mostly on the east coast where they run the main rivers in summer and autum. Billfish are caught mostly in the upper North Island. 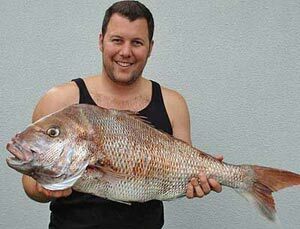 Snapper are mainly a North Island species, where the sea is warmer, with some caught in the upper South Island. Albacore tuna are caught all around New Zealand.